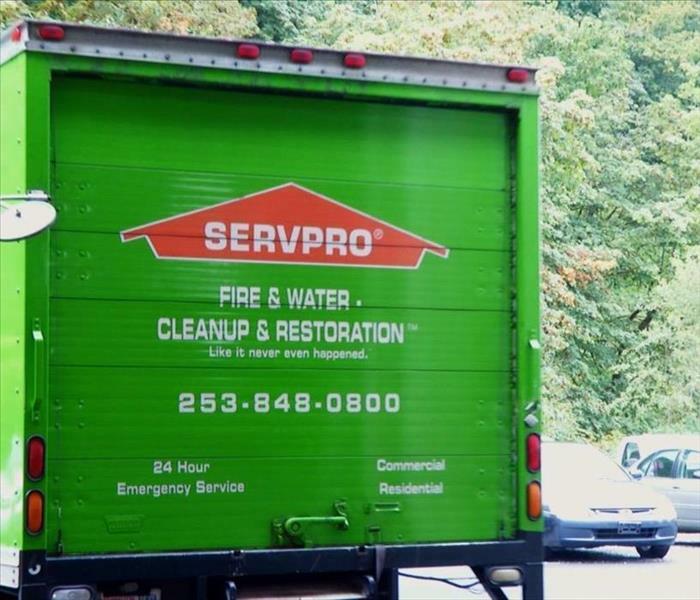 SERVPRO of Lacey can take care of your fire damage restoration and cleanup needs in Yelm, WA, home or business. 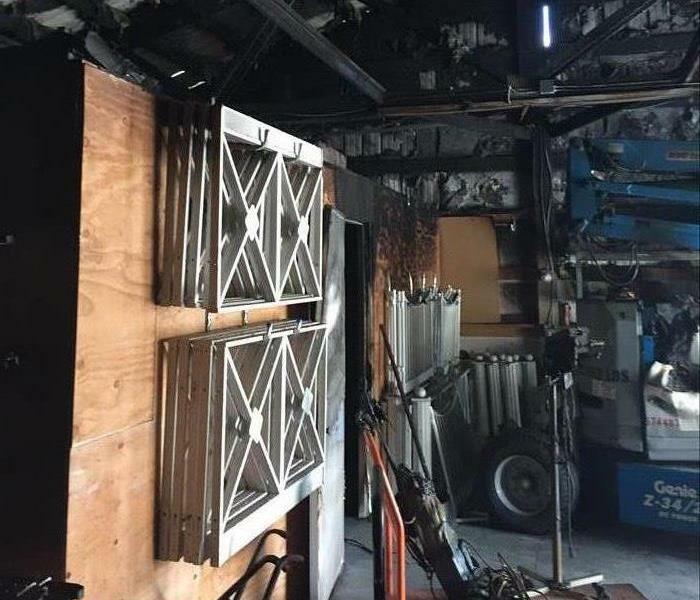 Our team has the training, experience, and equipment to make your fire damage seem "Like it never even happened." If you suspect or have discovered a mold problem in your Olympia, WA, home or business, give our SERVPRO of Lacey team a call! 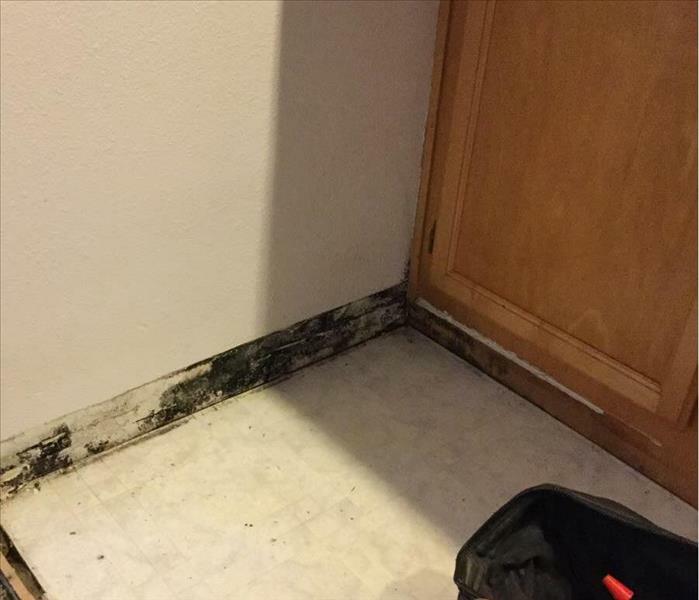 Our team can properly remediate your mold problem and make it "Like it never even happened." 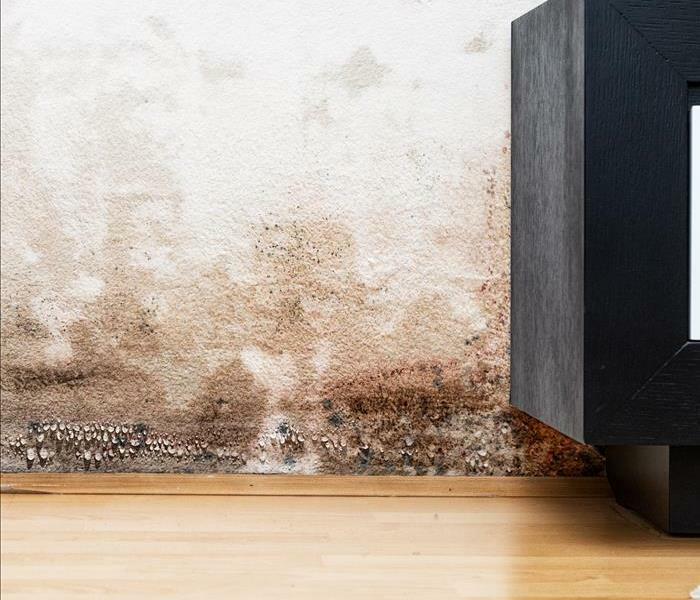 Take a second to read through these mold damage tips! Awesome shot of our SERVPRO of Lacey office and warehouse from above! 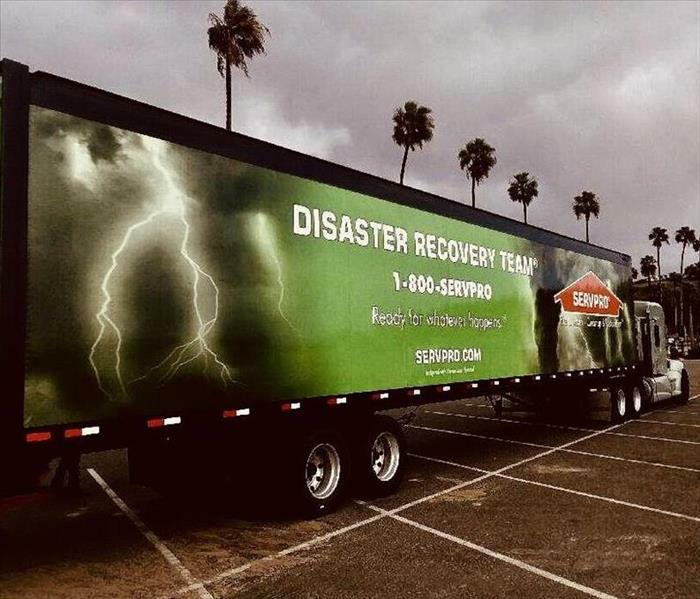 When disaster strikes your residential or commercial property, SERVPRO of Lacey is only one call away. If you have any questions or would like to schedule a service, give us a call at (360) 438-2066. 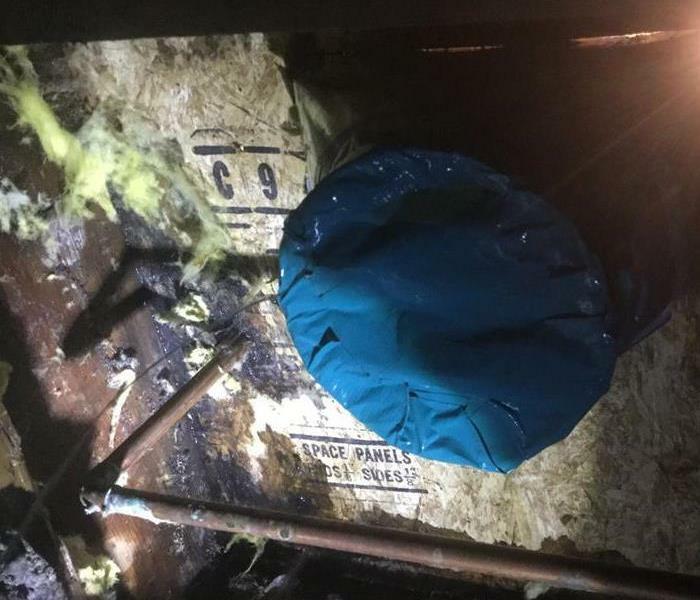 Extreme weather caused this gaping hole in a large commercial facility. Our SERVPRO of Lacey team was called and our team sprung to action. Our team takes pride in the fact that no size loss it too large. Disasters never strike at a good time. Our Disaster Recovery Team is always on standby and always ready to respond. If you experience fire, water, or storm damage, give our SERVPRO of LAcey team a call! 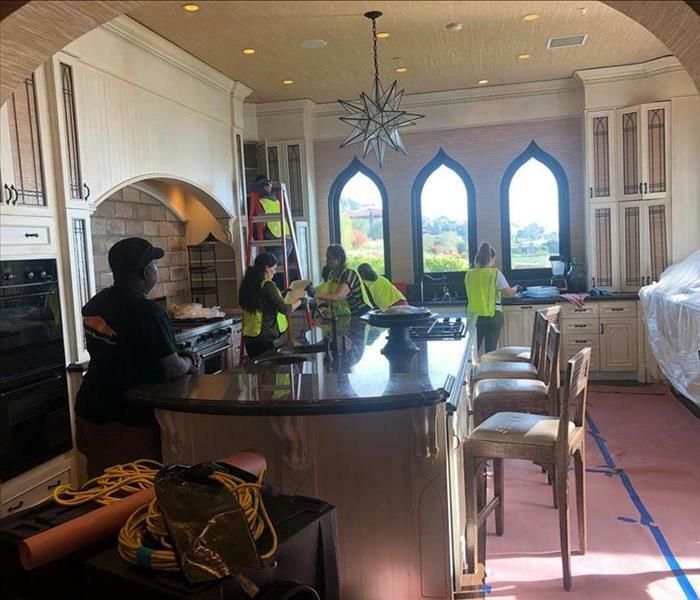 Our SERVPRO of Lacey team is in action and working hard on a large job. Our team takes pride in the work we do and want to provide the best service possible. If you have any questions or have experienced a loss of your own, give us a call! We Can Clean Your Carpets! If your home or business is in desperate need of a carpet or rug cleaning, call our SERVPRO of Lacey team. 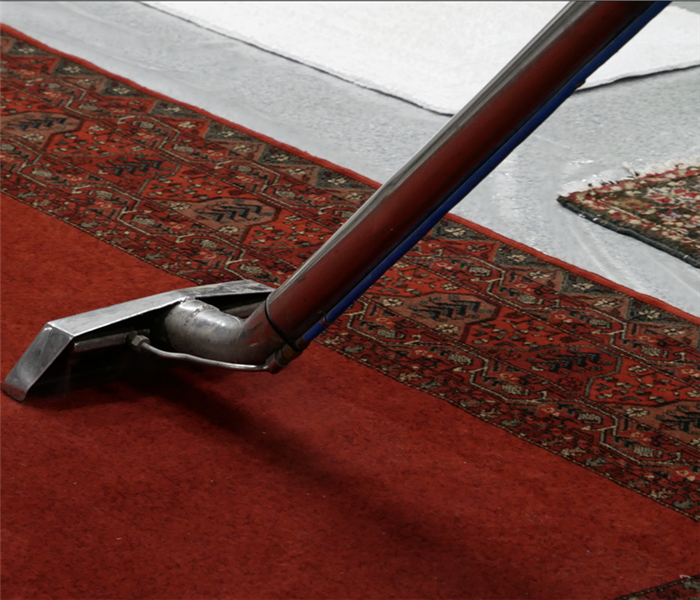 Our team will quickly respond and make your dirty carpets "Like it never even happened." The SERVPRO equipment is up and running during a residential water damage restoration after a water loss in the kitchen. 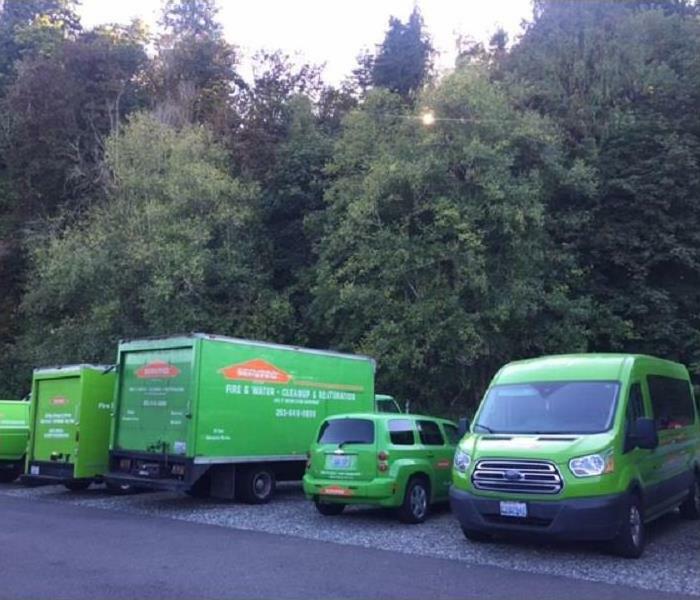 Our SERVPRO of Lacey team is always available and ready to respond. Rememebr, we're only one call away! Mold can cause some serious negative health effects. If you discover mold growth in your home or business it is crucial to call SERVPRO of Lacey as fast as possible. Our team is always on standby and always ready to respond! We know that disasters never occur at a convenient time. Therefore, our SERVPRO of Lacey team is on standby and ready to help 24/7/365. No loss is too small or too large. Call us anytime! 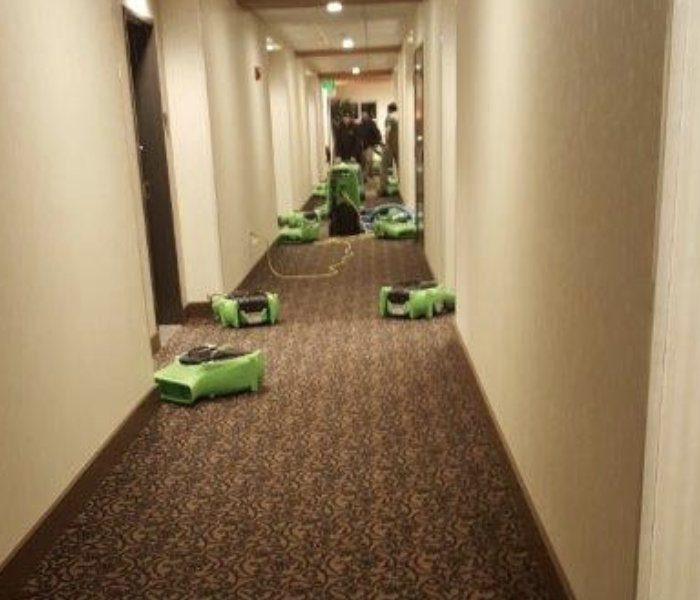 Our SERVPRO of Lacey team is hard at work to make this commercial water damage "Like it never even happened!" No size water loss is too large for our team. 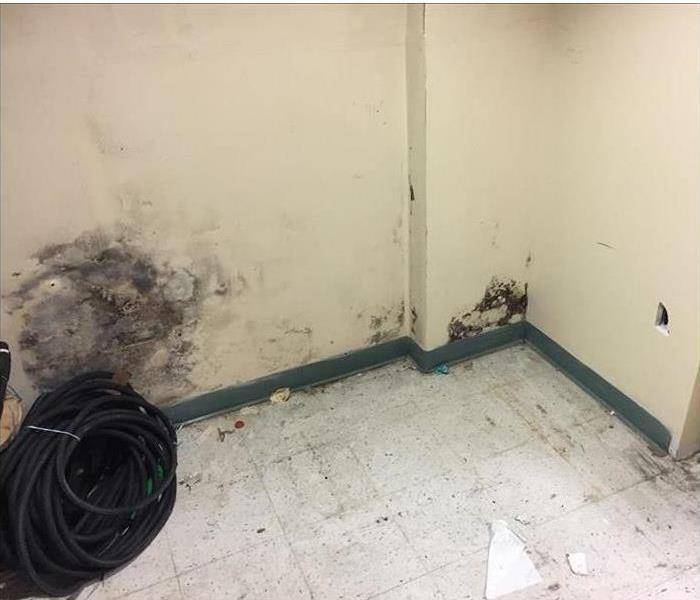 If you experience water damage in your commercial building, don't hesitate, give us a call! Mold in your Olympia, WA, home? Have you discovered mold growth in your Olympia, WA, home or business? Don't worry, call our SERVPRO of Lacey team. We have the best team and equipment around to deal with ANY size mold remediation needed. Disasters never strike at a convenient time, that is why our team is on always on standby and ready to respond. We have the best crew and equipment around to help make any size disaster "Like it never even happened." 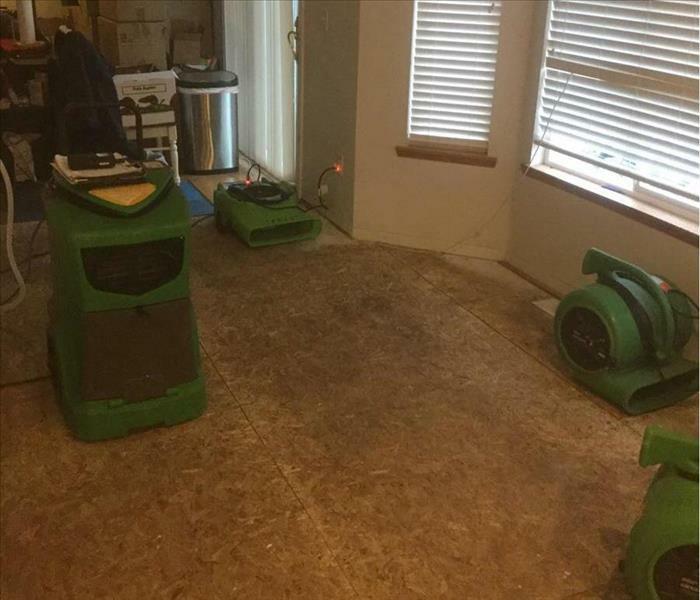 No size commercial water damage restoration and cleanup is too large for our SERVPRO of Lacey team. 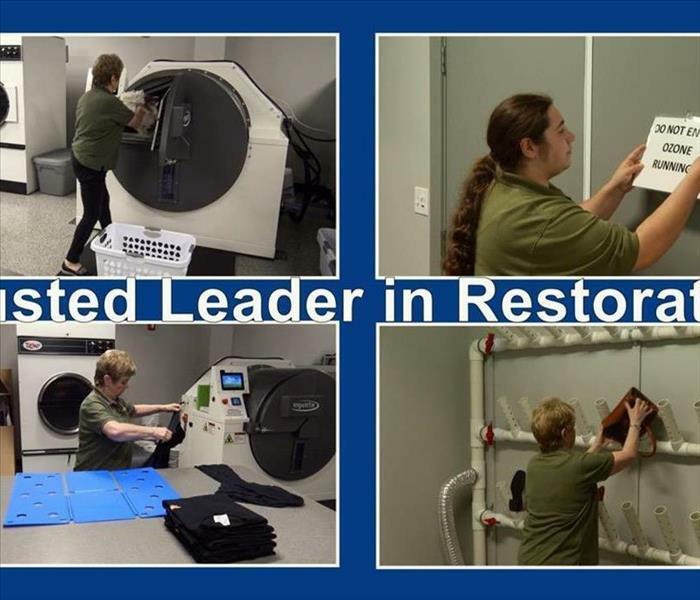 We have the best team and equipment around to help restore your business back to normal. 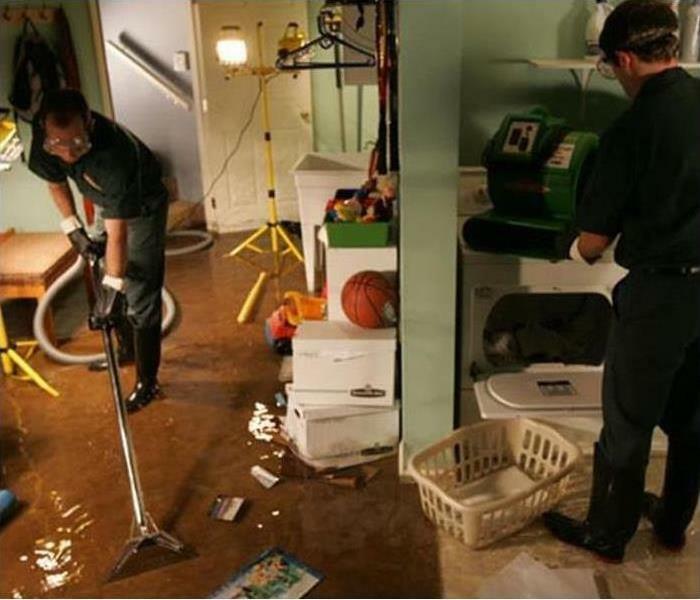 When disaster strikes, SERVPRO of Lacey is ready to respond! 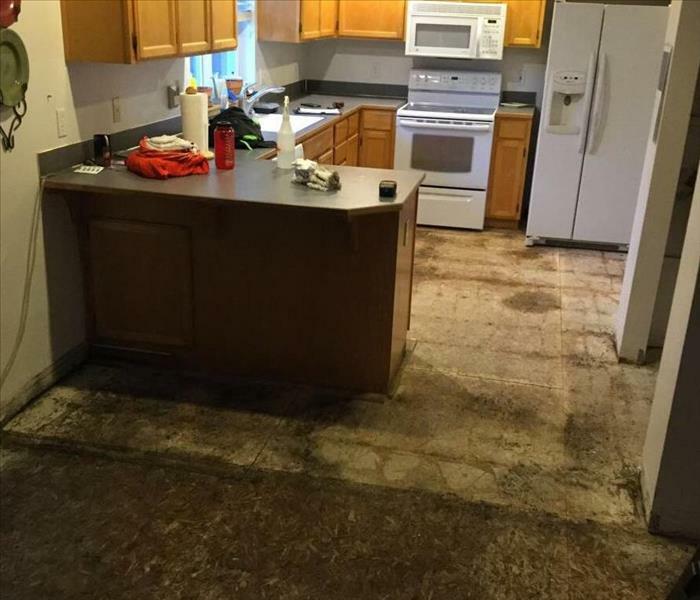 When this kitchen experienced a water loss that wasn't immediately addressed, the mold you see here was growing under the flooring. 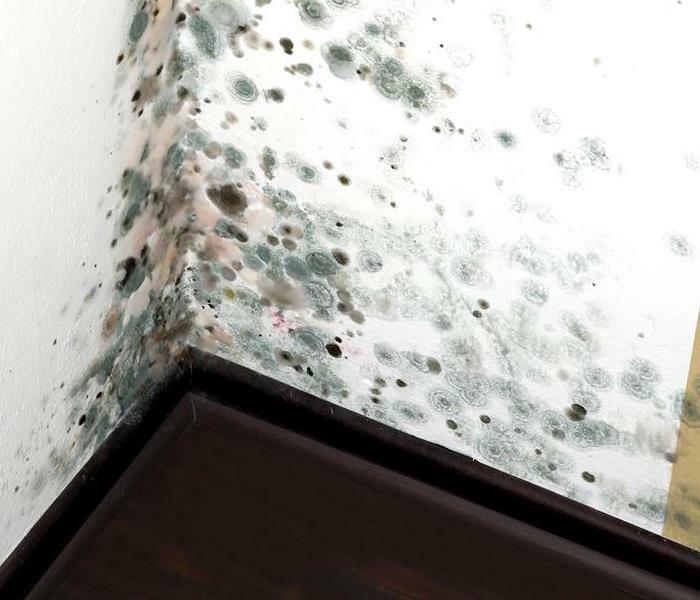 If you have mold like this in your home, give us a call. 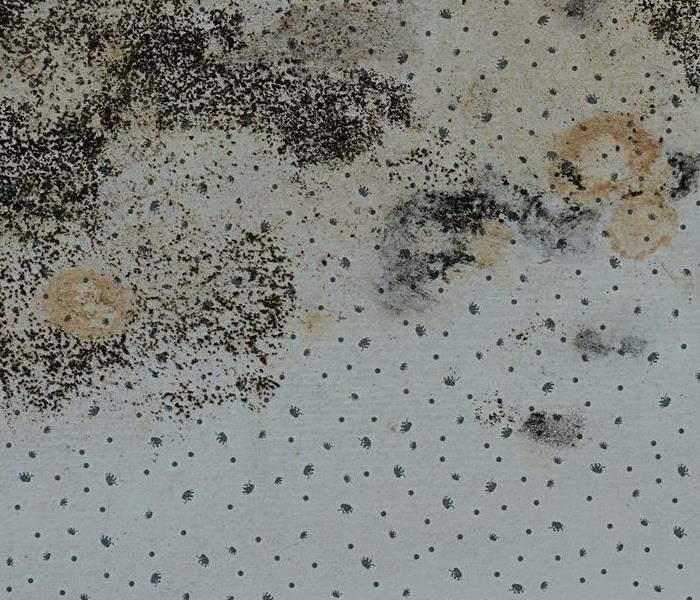 The mold in this image was growing on a wall in the kitchen that was impacted by a water loss. 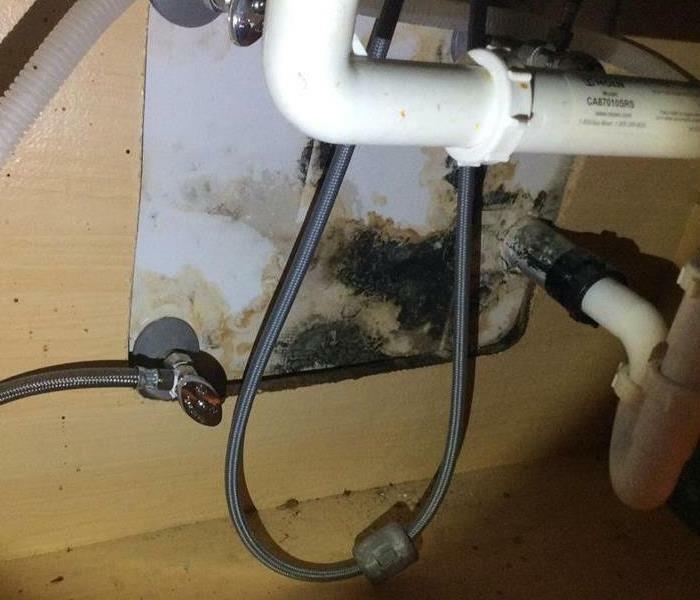 The kitchen was not immediately able to be dried resulting in this mold. If you have mold, call SERVPRO! Our team was brought to this home to repair the damage after a water loss that resulted in a mold problem. 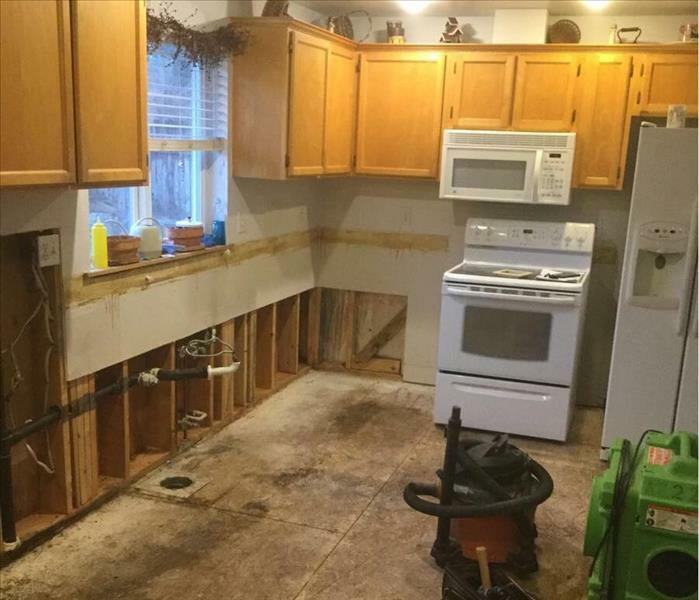 We were able to repair the home and leave it looking "Like it never even happened." 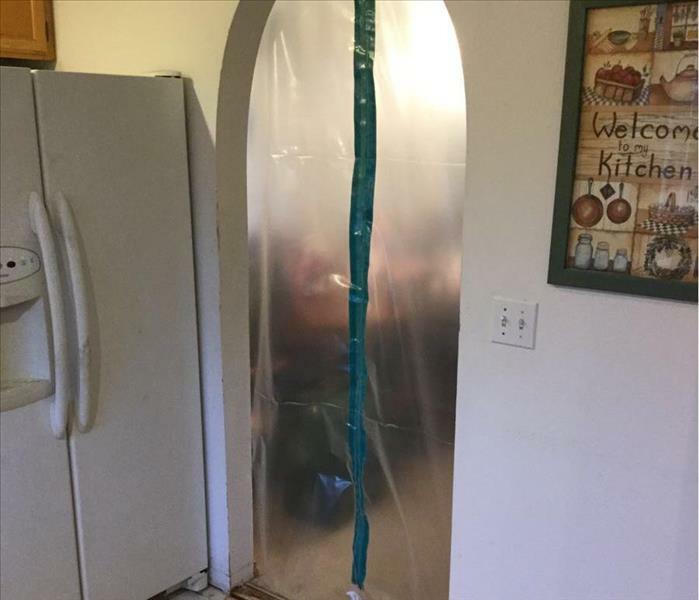 When we were working in this kitchen to deal with a mold problem, we put this containment barrier in place to prevent contaminants from migrating to unaffected parts of the home. If you have mold, call SERVPRO! 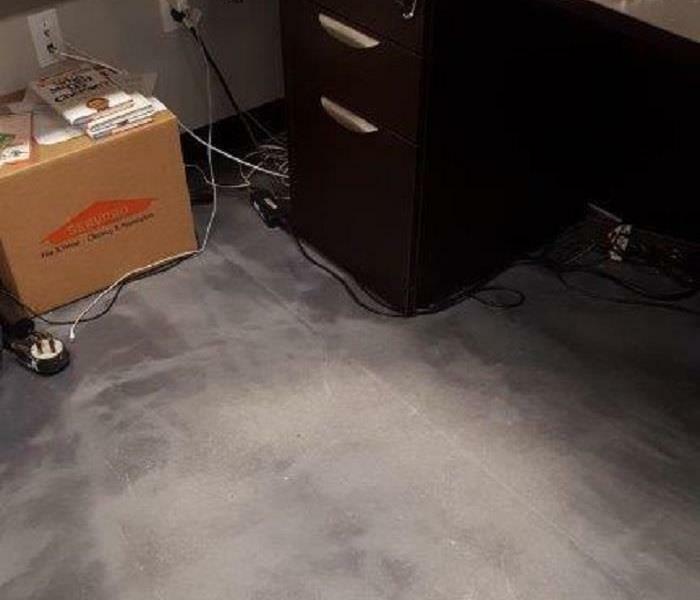 When this building experienced a water loss, we had to perform flood cuts in this storage closet in order to remove damaged material so that we could dry it out and make the necessary repairs. When responding to a water loss in your commercial building, the first priority is usually going to be taking care of the moisture in the building so that secondary damage, such as mold, can be prevented. This wall was hiding a serious mold problem that was the result of moisture caused by a leaking pipe. When moisture isn't noticed and dealt with within 24-4 hours, a mold problem can begin to develop. Our team was brought in to clean up and repair the damage to this home after a mold problem developed in the crawlspace. We were able to quickly take care of the moisture issue and remove the mold. 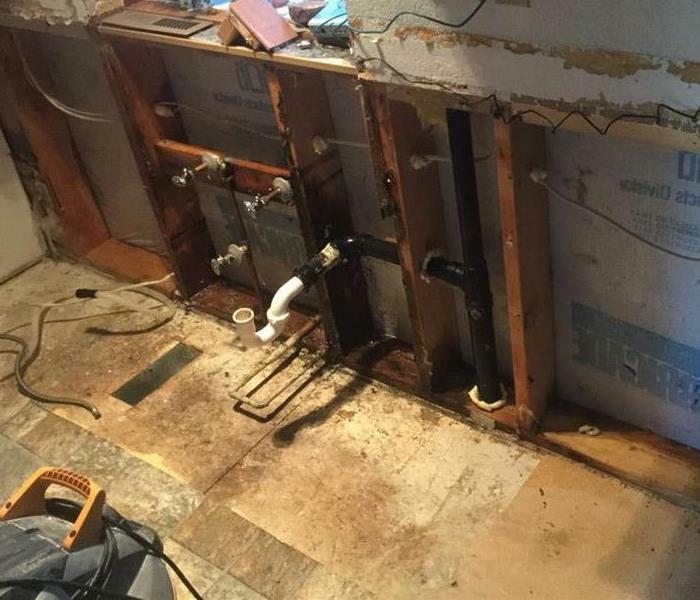 In order to remove damaged material after a large water loss that floods a structure, it is sometimes necessary to perform flood cuts to remove damaged material. That was the case on this water restoration job. 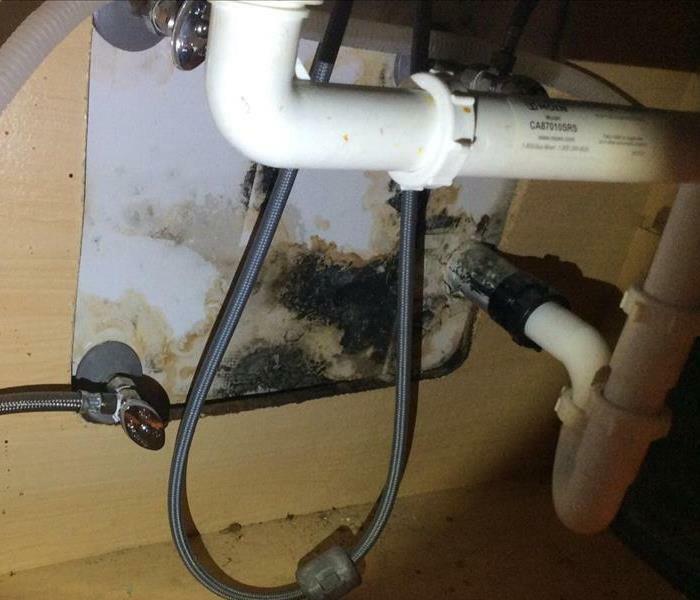 The mold in this image developed over a period of time due to moisture from a leaking pipe that wasn't noticed right away. 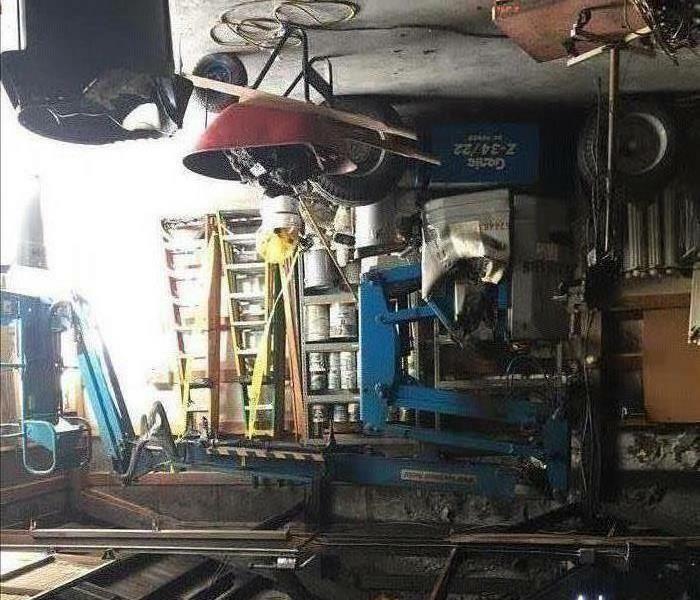 If you have a problem like this, give us a call! SERVPRO was called to cleanup and restore this commercial facility. Our team carefully packaged up all damaged material and did a solid clean while drying this facility. If you have any questions about our commercial restoration services, feel free to reach out at anytime. 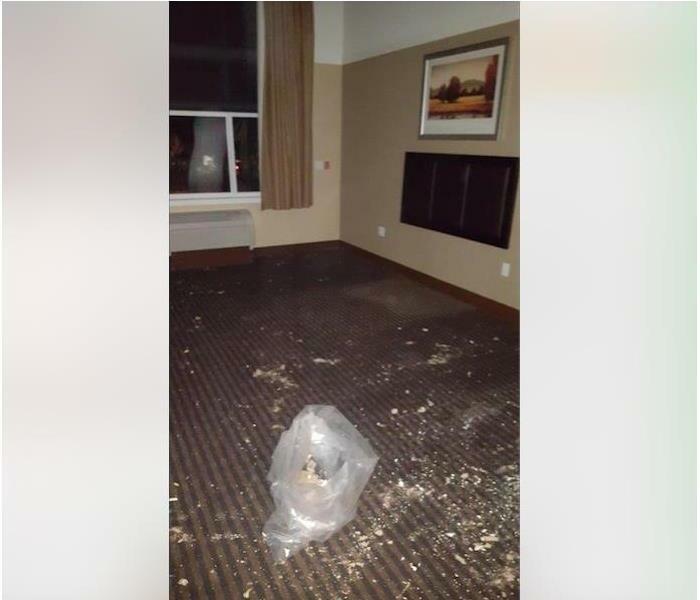 This facility had a lot of water damage. SERVPRO was quick to respond and begin the extraction process. Once all of the water was removed, flood cuts were made to make sure the walls were dry from within. We can respond to any size mold remediation in your home or business. The technicians are trained and ready with the expertise and cleaning technology to get to the job quickly. This is the equipment used to respond to your home or business for any size mold emergency. They are ready to move 24 hours a day 7 days a week. Our storm team is ready to respond to your call any time, day or night. So if you have storm damage in your home or business, give us a call. We'll make it "Like it never even happened." This air mover is one of many pieces of equipment we use to help us get the job done right. This one was placed to help us remove moisture left over from a storm water intrusion. SERVPRO has the expertise and trained technicians and equipment to knock out the mold in your home or business. 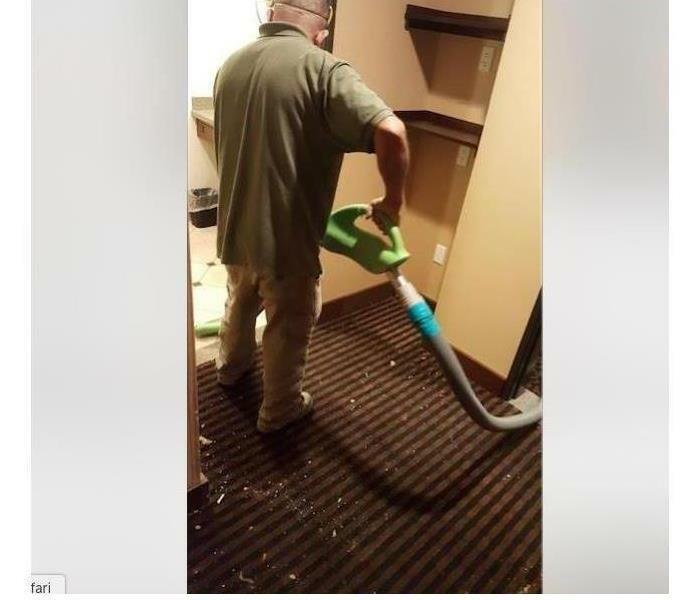 The cleaning techniques are unique to SERVPRO and have the right formulas for cleaning. This structure suffered a storm water intrusion from heavy rains that impacted our area. 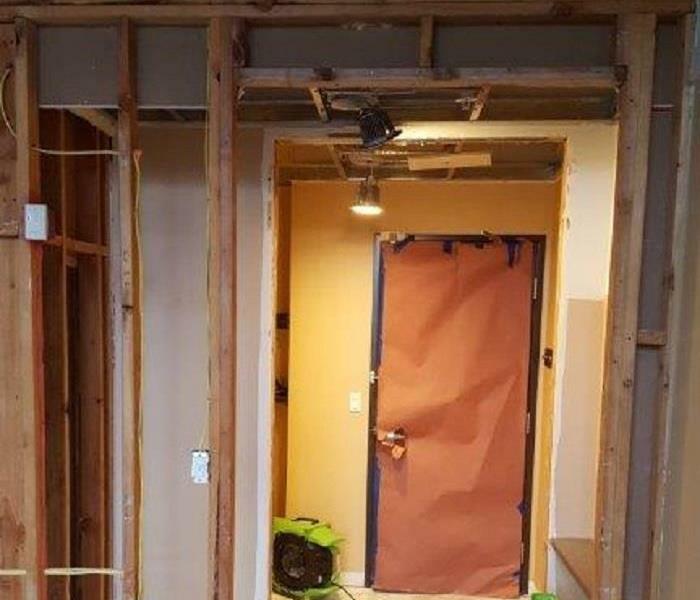 In this image you can see that demolition has been completed to remove the damaged drywall and flooring prior to restoration so that we can remove all remaining moisture. 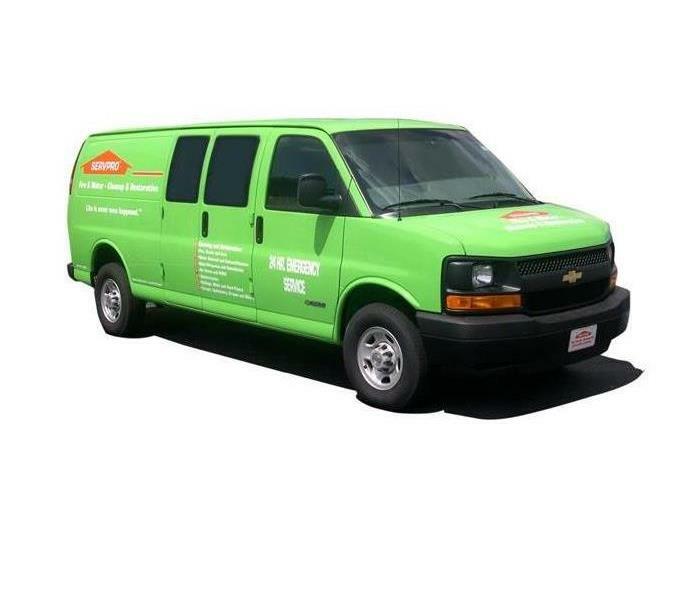 The team at SERVPRO can respond to any type of mold remediation. The drywall was torn out of this home after being invested with mold and spreading quickly. The technicians have the expertise to clean mold correctly and quickly. Storms can occur any time day or night. The teams are ready for any type of storm and can will show up quickly to respond. The team has crews waiting after an disaster. SERVPRO can extract water from majority of your home or business. 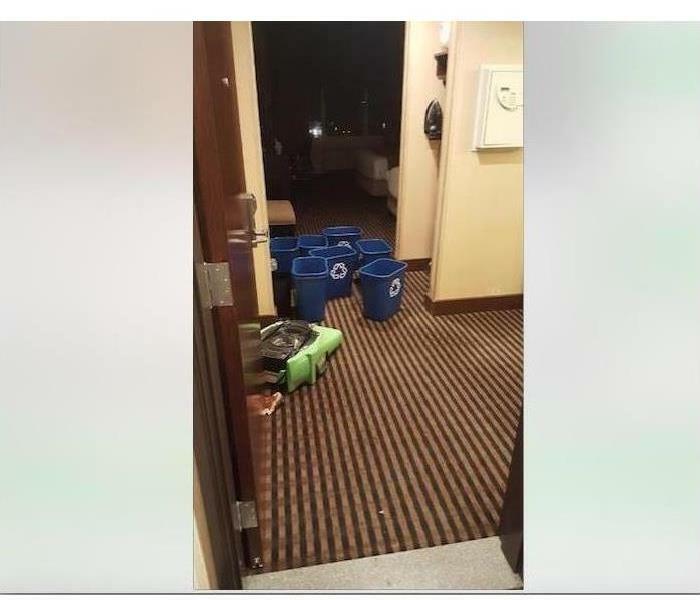 The water can cause a lot of damage from flooding or storm damage. The team at SERVPRO has the expertise to respond to any storm emergency. Storm waters can do lots of damages to your home or business. 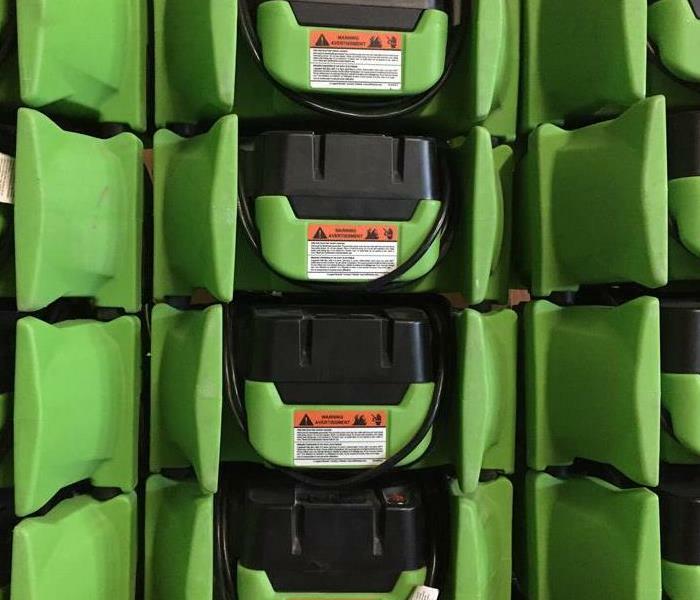 SERVPRO has the expertise to come in and ensure all water is dried off the floor and air movers down to finish the process. Mold can spread quickly. It is important to get the mold controlled as cleaning the area will stop it from spreading. The mold can be dangerous and SERVPRO can reassure your home is safe after a mold infestation. 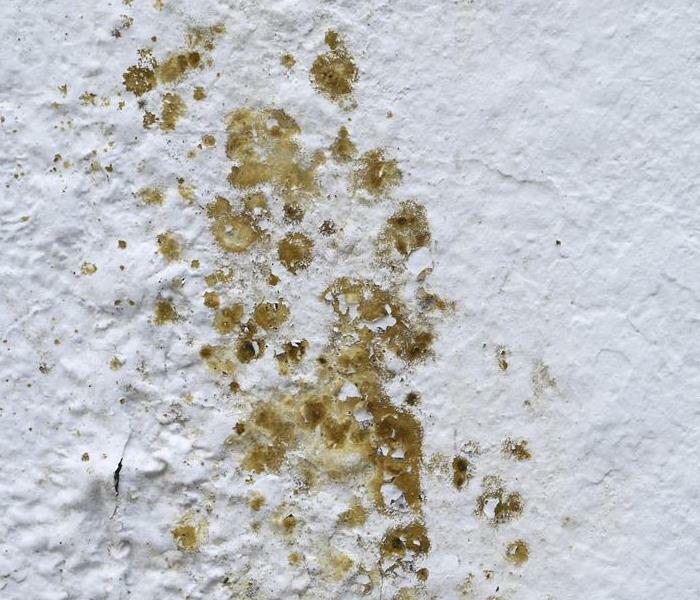 The mold on the wall can grow and spread quickly throughout the room. It is very important to clean the area with the professional solutions we provide. 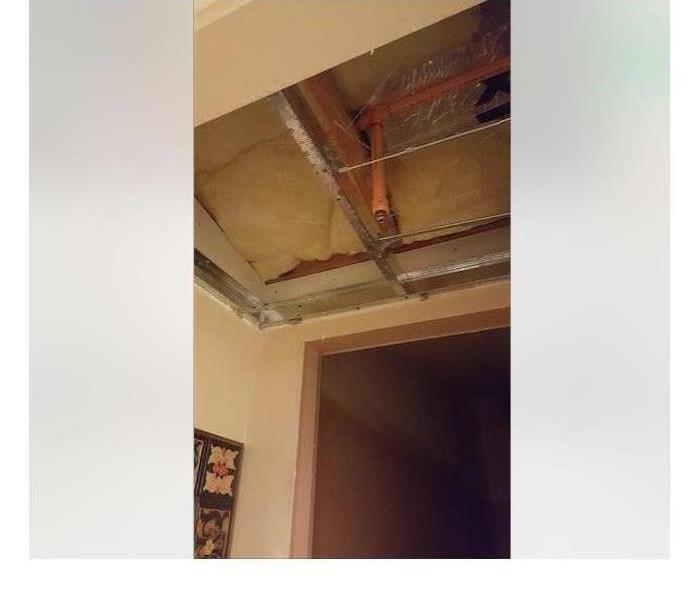 The technicians have the techniques to do the work professionally. 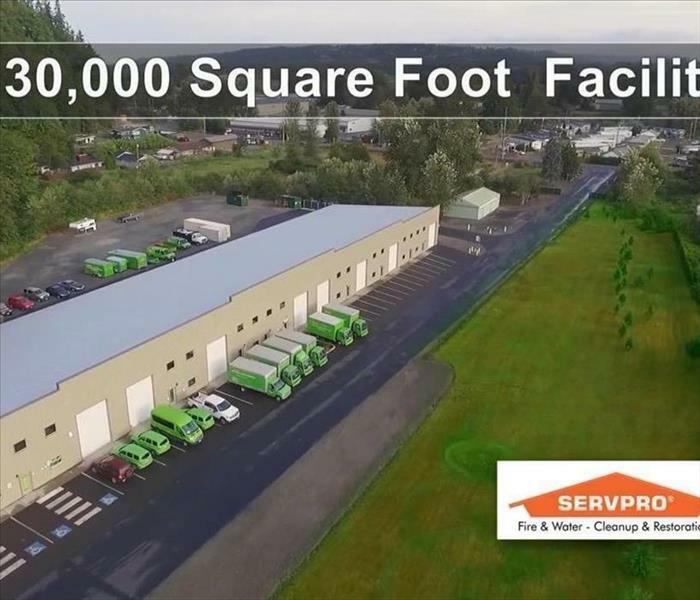 SERVPRO of Lacey is a trusted leader in the Water Restoration Industry. The management team was very thankful for the team as they responded to their water loss. The technicians can provide documentation that water is dry after proper verification. 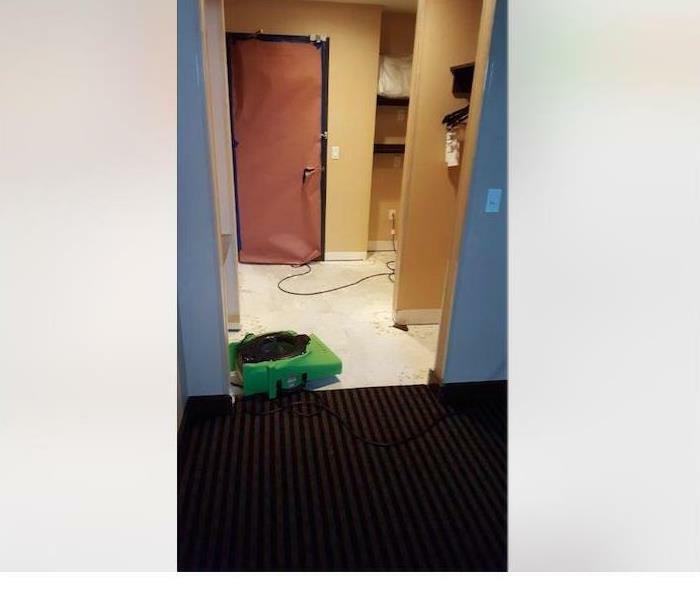 This is the after picture of water damage to a hotel room. SERVPRO of Lacey responds to any of your restoration emergency needs. The water was extracted from the floor and air dryers are brought in to prevent future water damage. 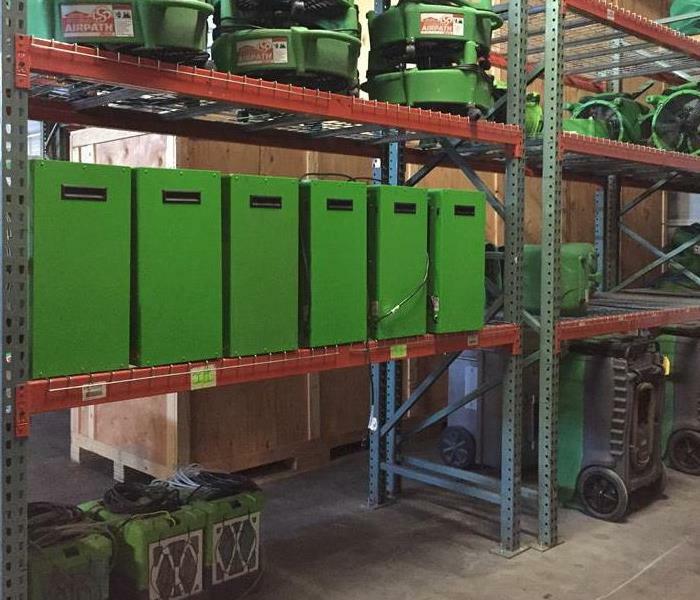 SERVPRO of Lacey has professional cleaning equipment on site to take your personal belongings to restore them to pre disaster conditions. They have a team who specializes in fire, flood, or mold conditions along with professional carpet cleaning in your home or business. SERVPRO of Lacey will respond to your fire damage call in prompt time. They have the trained fire technicians to restore your property to pre fire conditions. They have equipment to get your belongings cleaned professionally. It was a great time being apart of the Christmas parade! 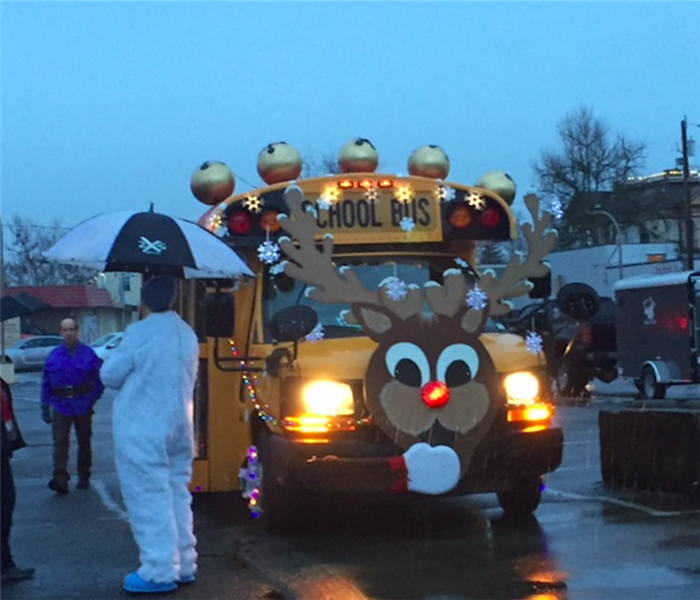 The parade was filled with beautiful floats and it made us so much more excited for Christmas. Are you ready for Christmas? SERVPRO of Lacey sure is! Have your seen our facility. We can handle any size commercial or residential loss. Our team is prepared with the experience and equipment to handle any situation. If you have any questions, feel free to contact us at anytime. This team member is cleaning a rug after it was taken from a home that had significant water damage. Once we removed all of the loose materials, we started the cleaning process to get the rug back to pre loss condition. 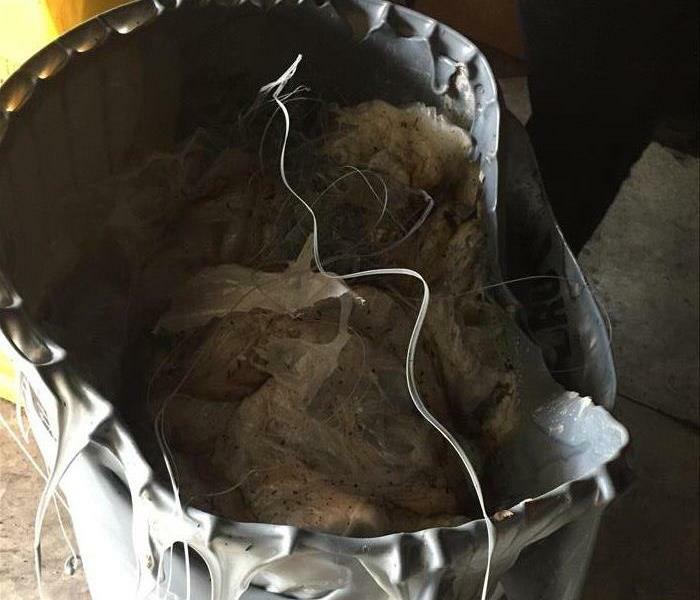 This home had a fire and the contents had to be cleaned in our warehouse. Our team was quick to respond and start the cleaning process. 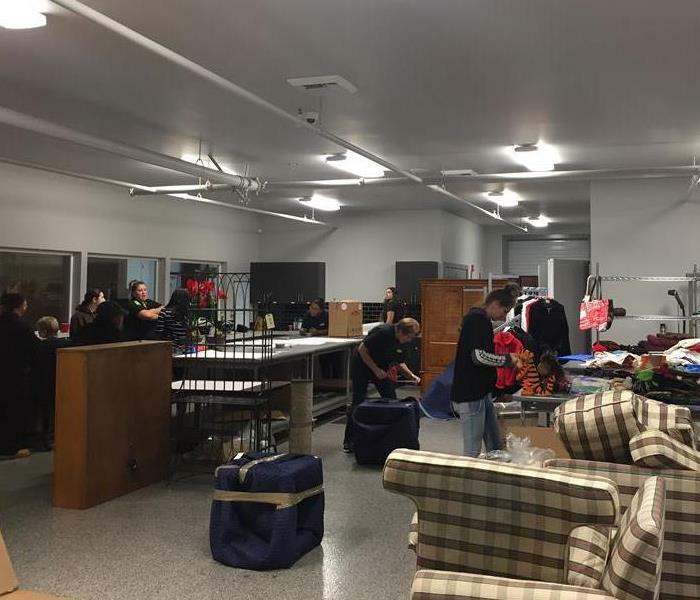 Once we got all of the items in our warehouse, we started to clean piece by piece. Has this happened to you in your basement/laundry room? 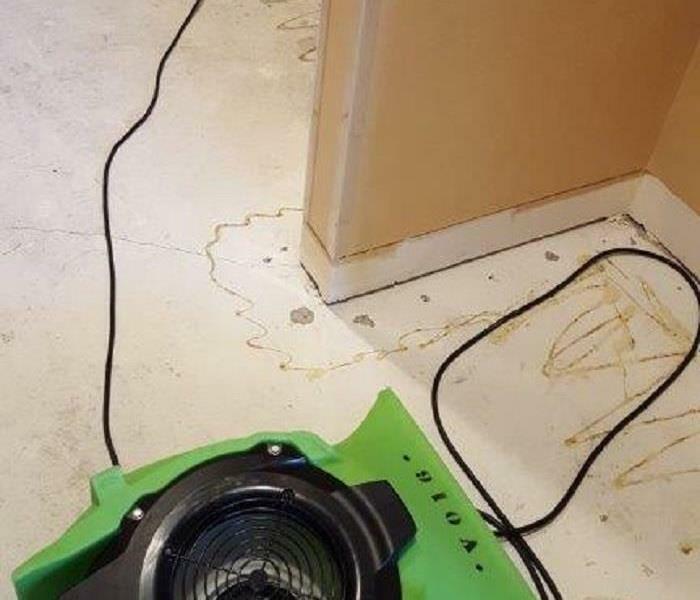 SERVPRO of Lacey is here to assist in your time of need if this does happen. If you have any questions about what we do or why we do it, give us a call at (360) 438-2066. 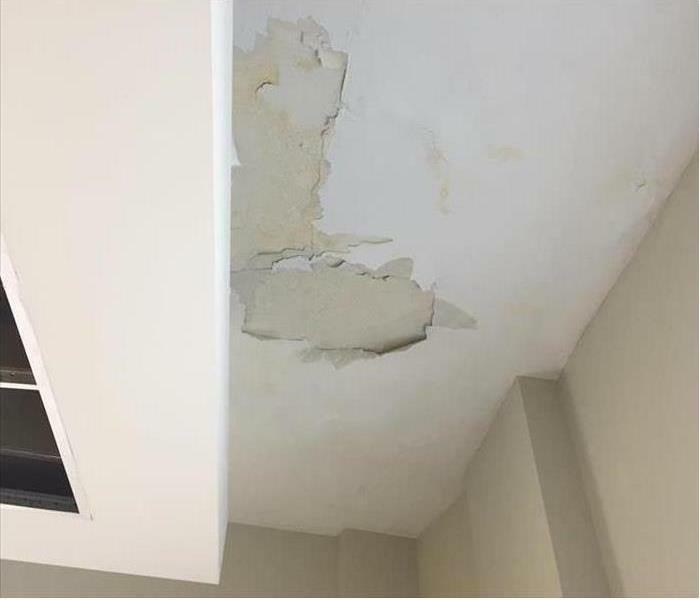 Water damage is never something you want to see but if this happens to your home or business, SERVPRO of Lacey is there to help. We can take things like this and make it "Like it never even happened." This commercial business in Lacey never addressed water damage in the back of their warehouse. As you can see with time it turned into a big problem. SERVPRO of Lacey was able to come in and mitigate the issue for this customer and get them back in business. SERVPRO of Lacey is ready for any situation. This team of vehicles you see here were staged and ready to enter in a commercial apartment complex after a severe storm in Lacey, WA. Remember to call SERVPRO of Lacey at (360) 438-2066. 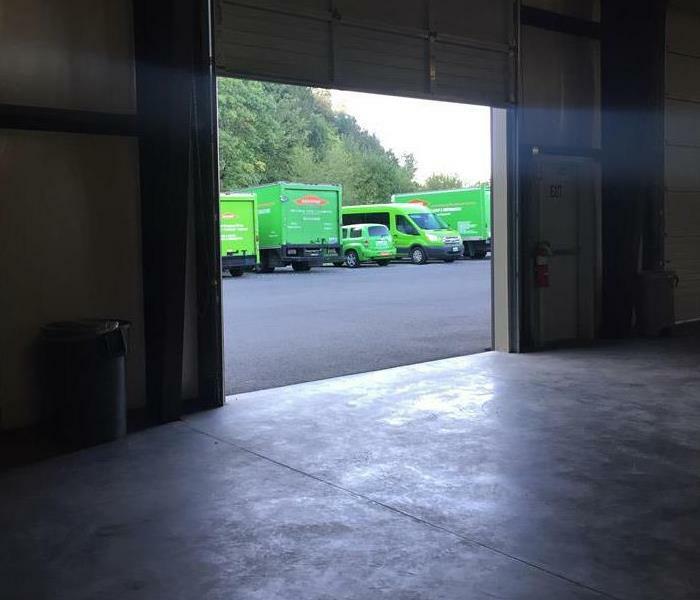 SERVPRO of Lacey has an amazing fleet of trucks and vehicles to get our crew to your home or business as quick as possible. SERVPRO of Lacey has very specialized equipment for cleaning technology. This picture shows how a fire-damaged desktop computer can be thoroughly cleaned from fire and smoke damage. 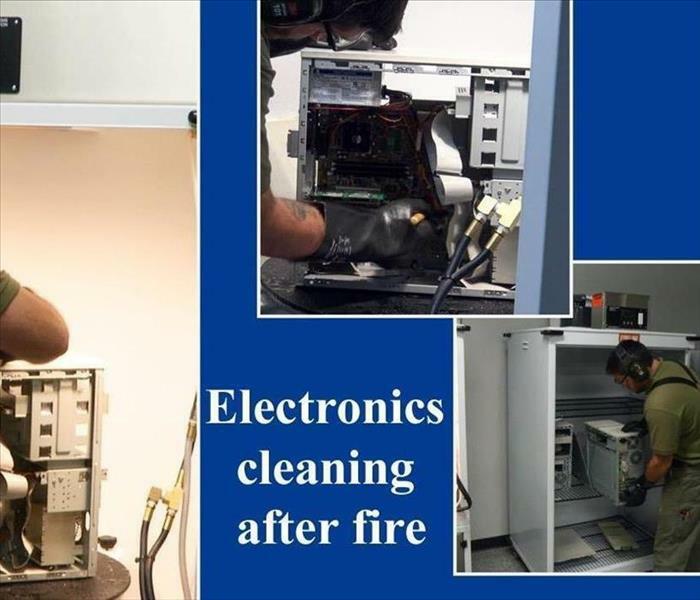 Most electronics can be cleaned with our state-of-art facility and equipment. 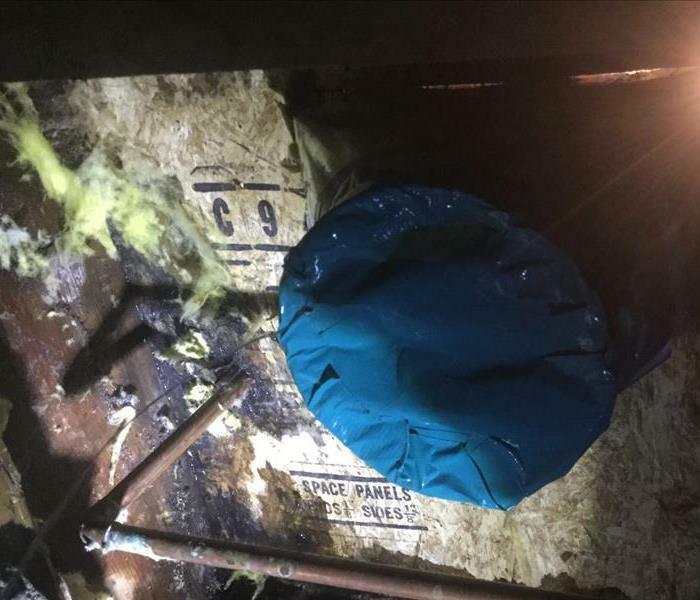 At SERVPRO of Lacey, we have specialized equipment that can clean your fire damaged articles. We also have two ozone rooms to treated clothing, furniture, and any other important articles to take out the smoke smells. Our talented team handles the following: Water Damage Restoration, Fire Damage Restoration, Mold Remediation, Storm Damage Restoration, Cleaning Services, and Building Services. 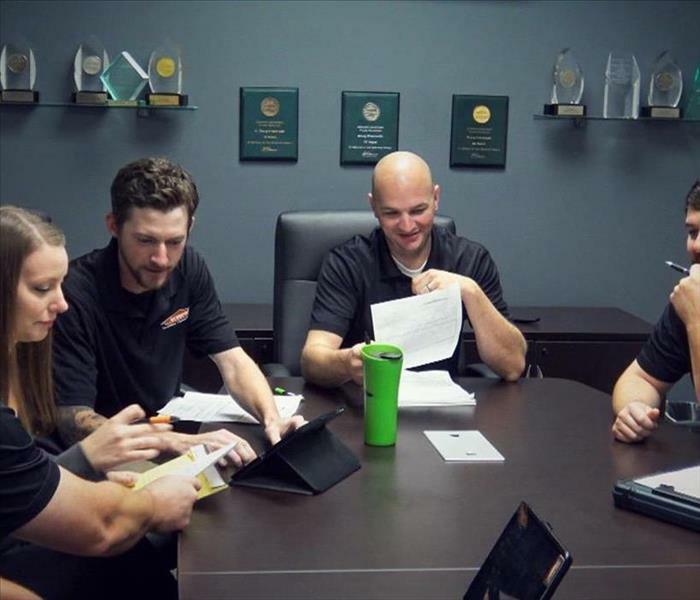 At SERVPRO of Lacey, we have a talented team of individuals. Each has been trained in how to solve any disaster or emergency problem in your home or business. 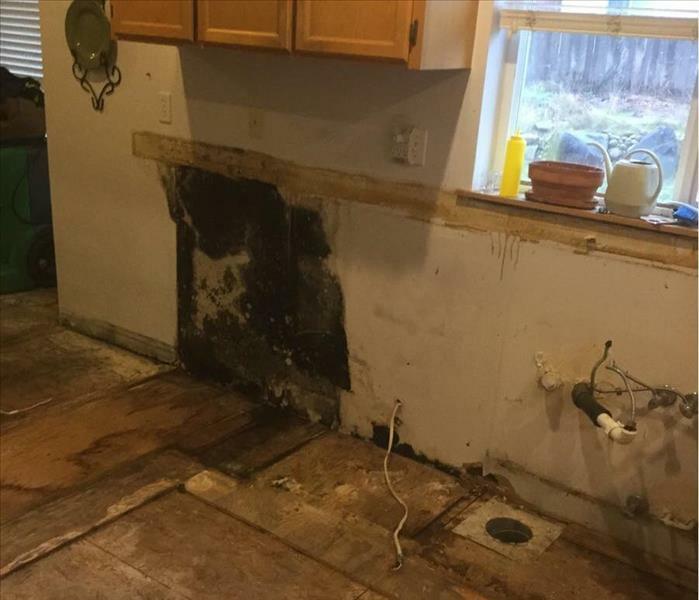 We handle the following: Water Damage Restoration, Fire Damage Restoration, Mold Remediation, Storm Damage Restoration, Cleaning Services, and Building Services.